Do you ever wake up (or even go to bed) with dry mouth? I do. One reason is that two of the medications I take have dry mouth as an after-effect. I think the fact that I sleep on back is another. I wake up with the Sahara Desert in my mouth. Not a pleasant experience at all. Of course, a dry mouth causes other issues: an irritated throat, sore throat, swelling, and extremely bad breath. Nobody wants that! 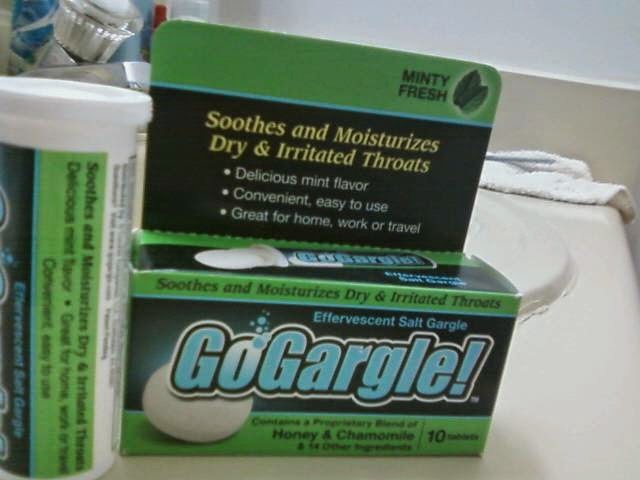 When given the opportunity to try GoGargle, I jumped at the chance! You see, GoGargle employs sodium from salt water, honey, aloe, chamomile, and other ingredients to soothe and ease the discomfort from an irritated, dry throat. I know well the benefits of salt water as I grew up on Tybee Island. Sore throat? My Nanie would get a couple of cups of ocean water right from the Atlantic and I'd gargle with every day until the sore throat was gone. Getting the benefits of salt water without an ocean nearby used to be almost impossible. Regular salt water is okay, but gargling with the real thing is now at your pharmacy or grocery store! When you have a sore throat, your tonsils are generally inflamed which results in pain around the tonsils, making it difficult to swallow. Gargling with salt water cleans bacteria from this area and draws moisture out of the swollen tissues, relieving pain and preventing further bacteria growth. I've tried it and so has Mike. We approve! It really works and it doesn't take long to have an effect! I'm planning on buy a few packs for Morgan as she tends to get sore throats two or three times a year for some reason. Mike is trying stop smoking (again) and the GoGargle is helping to keep his mouth moist. 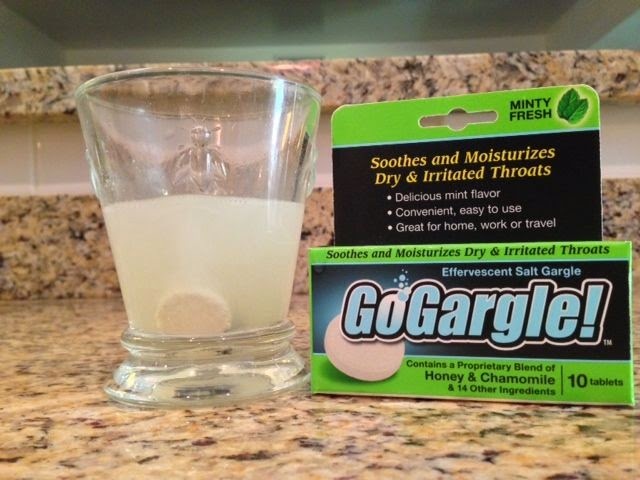 GoGargle is offering it's customers a fantastic $1.00 off coupon here! Try it for yourself and see the difference it makes! Connect with GoGargle on their Social Media Pages: Facebook, Google+, Pinterest, and @GoGargle on Twitter. DISCLOSURE: I received a package of GoGargle to facilitate this review. I received no monetary compensation. The opinions expressed herein are my own and based on my own use of and experience with the item.